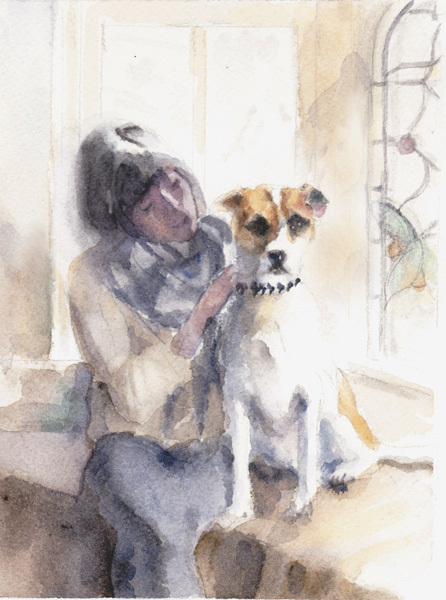 I recently created a pet portrait for a former client. The initial idea was to only paint the dog. However, Eloise is very fearful and would not pose by herself. With her owner sitting nearby, she was much more calm. 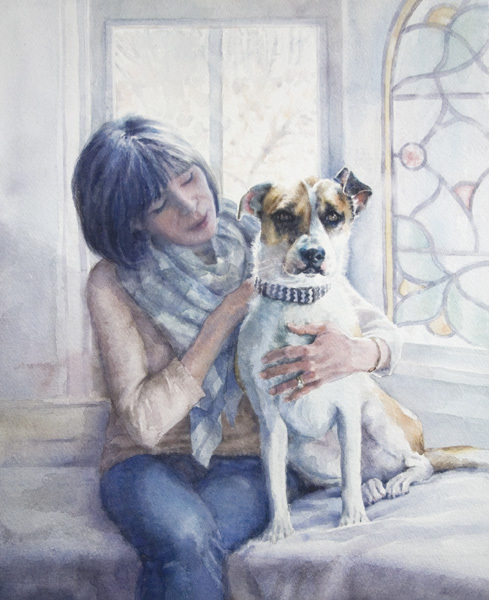 We decided it might be nice to include the owner in the portrait, but to keep the dog as the focal point. To do this, I had to keep most of the contrast and detail on Eloise and keep the values closer together and less defined on the owner. You can see that there are no real value extremes of light and dark on the owner, as there are on the dog. The client wanted a very netural palette, so I showed her two color studies with slight variations and we chose the neutral blue palette. We were all very happy with the end result! !